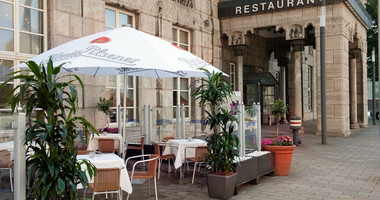 Wyndham Duisburger Hof Hotel is located in the centre of Duisburg, directly opposite the Duisburg City Theatre. 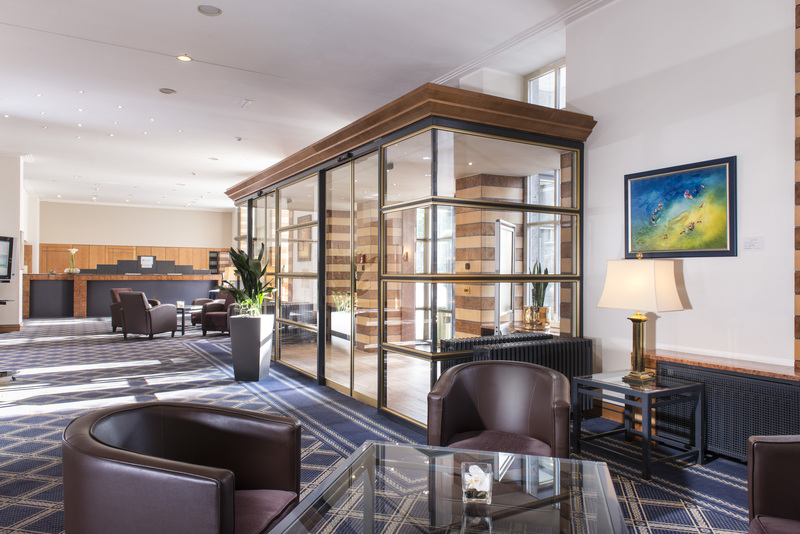 This exclusive 4 stars hotel in Duisburg is ideal for guests who want to visit all the highlights of Duisburg: the opera, casino and shopping boulevard are within walking distance. 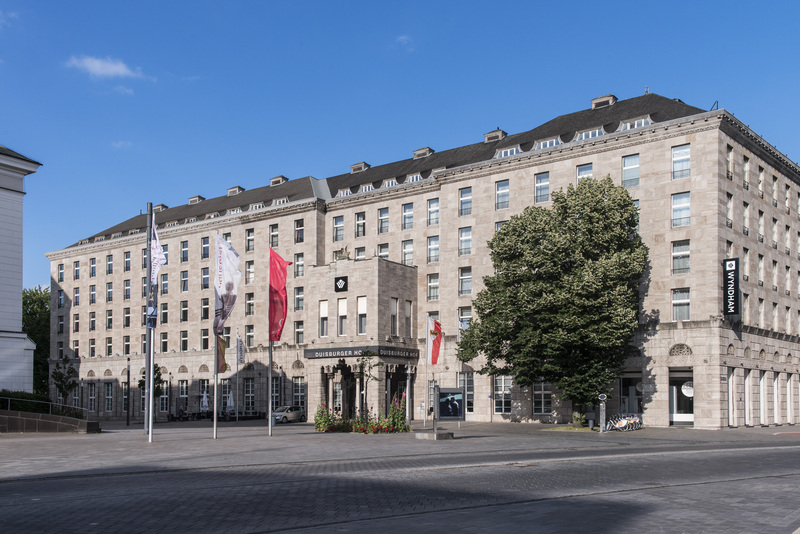 Our exclusive hotel in Duisburg is only 5 minutes walk from the Duisburg central station. 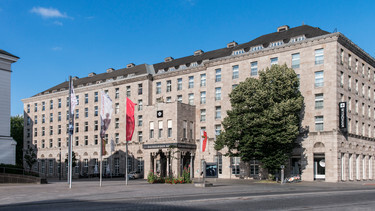 The hotel Wyndham Duisburger Hof was renovated in 2012. 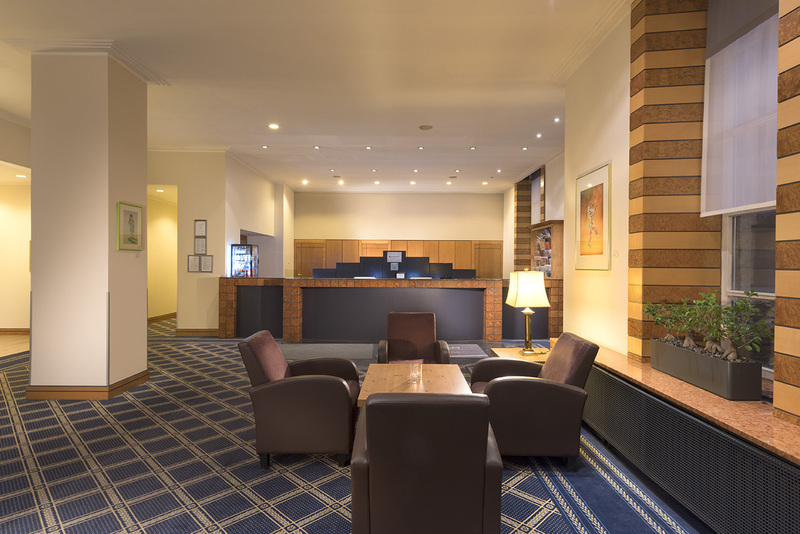 Spacious hotelrooms with WiFi free of charge, ideal transport connections and a flexible and friendly service await guests at Wyndham Duisburger Hof Hotel. 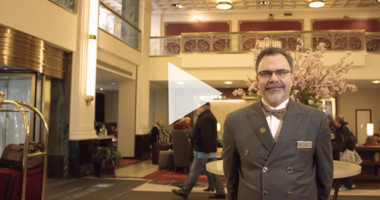 The landmark hotel has 109 comfortable rooms, including 18 spacious hotel suites. 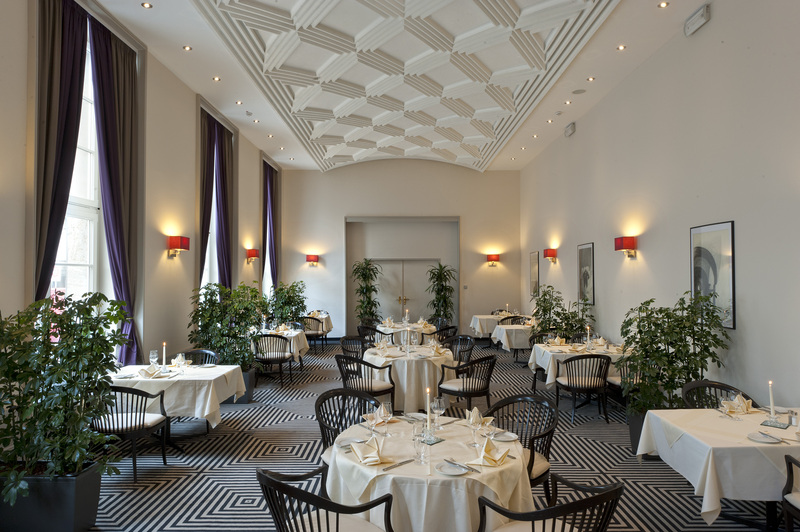 Our restaurant „l'escalier“ offers fine cuisine in beautiful surroundings. You can also take advantage of our wellness area with sauna and fitness equipment. 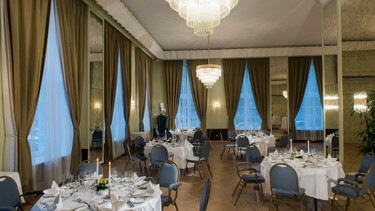 For events, seminars, gala dinners, family celebrations and product presentations, the Wyndham Duisburger Hof Hotel offers the perfect setting. 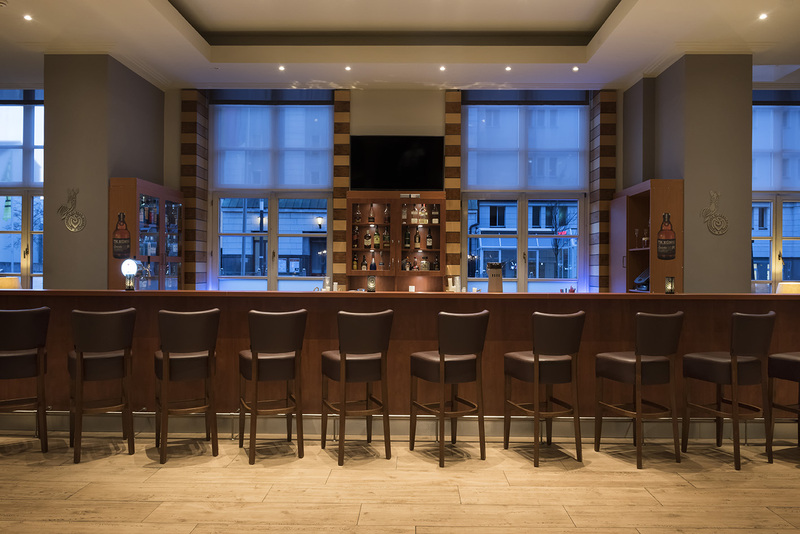 Celebrate in style in an elegant ‘Golden twenties’ atmosphere. 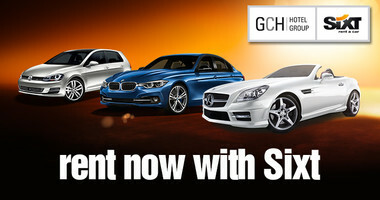 Our dedicated event service and technical facilities make your event an unforgettable experience. After extensive examination of the dfv media group, our hotel Wyndham Duisburger Hof is officially a codified location. We are pleased to be an excellent venue for codified meetings and especially attractive to customers in the pharmaceutical and medical technology industries. 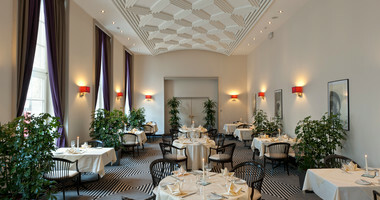 Wyndham Duisburger Hof Hotel is perfectly located for a city tour to of Duisburg. 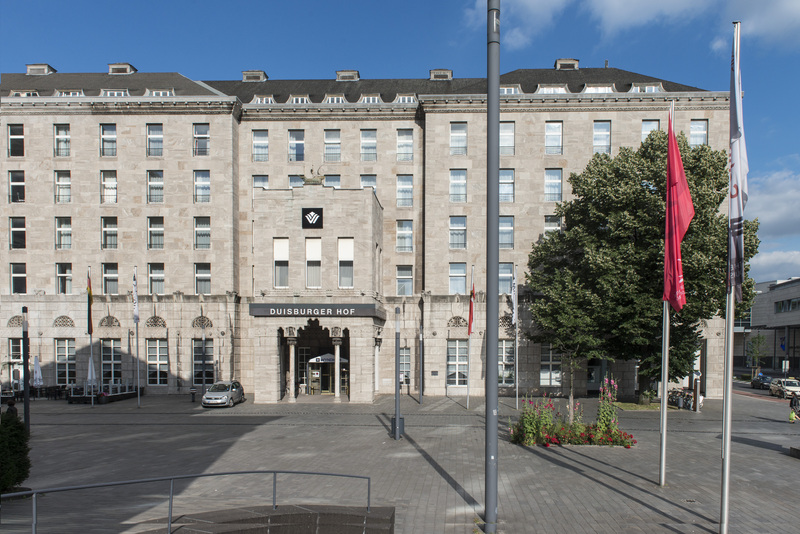 All important sights can be reached in walking distance from the hotel such as the theater Duisburg or the port of Duisburg. 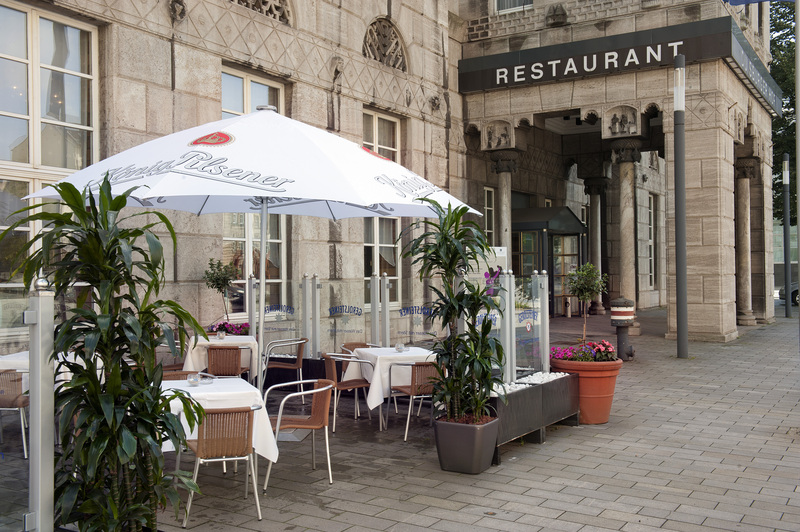 Buy online and print your personalized gift voucher of the Wyndham Duisburger Hof Hotel. 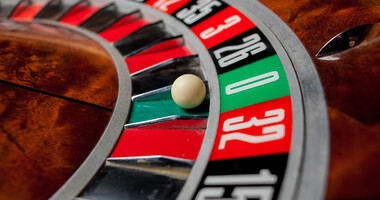 With the hotel offer of the Wyndham Duisburger Hof Hotel you have the possibility to show your gaming talent on many roulette tables or poker rounds. 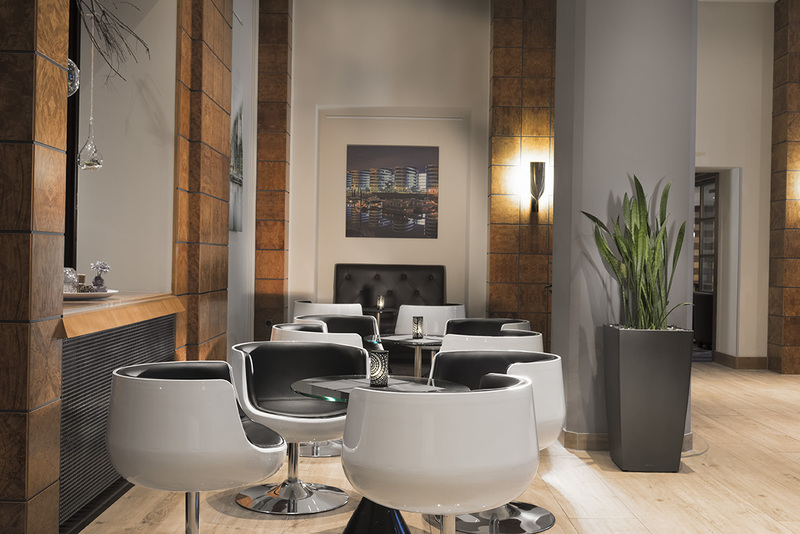 For a relaxing break you can enjoy a cold drink at the Casino bar in Duisburg. 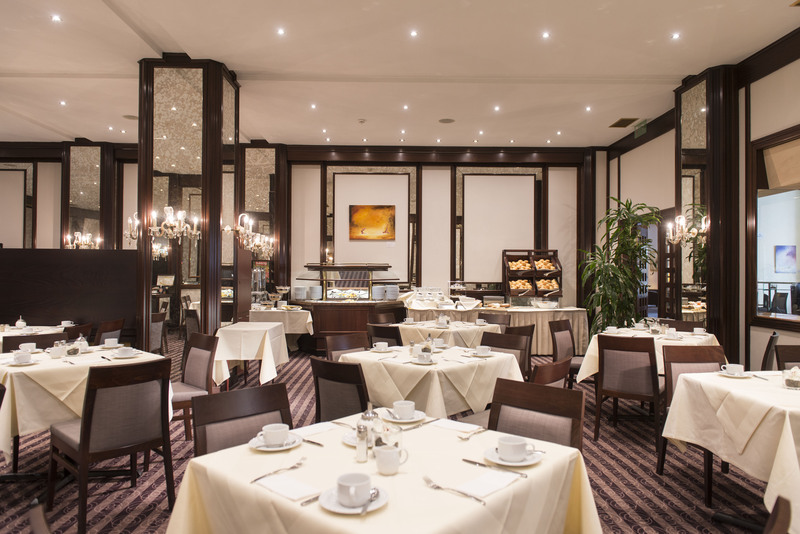 Business dinner or romantic candle light dinner after an evening in the theater Duisburg – the restaurant of the Wyndham Duisburger Hof offers high-quality and seasonal dishes as well as a choice of quality wines. Duisburg is the fifth largest city in North Rhine-Westphalia and the pulsating heart of the metropolitan area in the Ruhr Valley: The industrial city is situated where the Rhine and Ruhr rivers merge, exactly between the Ruhr region and the Lower Rhine area. 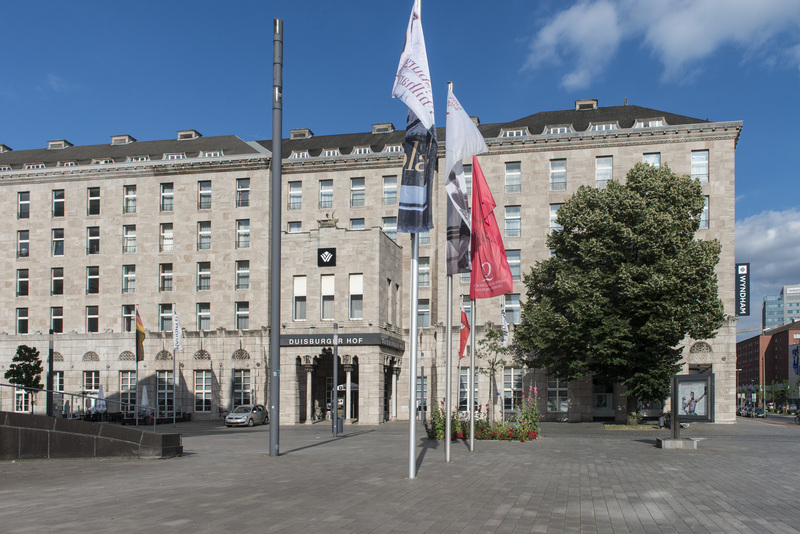 City trippers appreciate the Lower Rhine city's large cultural offering: Duisburg port as the largest inland port in Europe, the beauty of the impressive industrial culture and innovative art and cultural projects. Highlights of Duisburg's cultural landscape are the ballet and opera productions by the internationally-renowned Deutsche Oper am Rhein. Festivals such as Duisburger Filmwoche (Duisburg Film Festival), die Duisburger Akzente and the Traumzeit festival attract international attention. A particular highlight in Duisburg is the Route Industriekultur (Industrial Heritage Trail), a unique network of museums, exhibitions and historically important settlements. Duisburg has numerous leisure areas with clear quarry lakes, industrial monuments and diverse shopping options. With the motto "Change through culture - culture through change", Duisburg formed part of the RUHR.2010 – and became Europe's cultural capital.